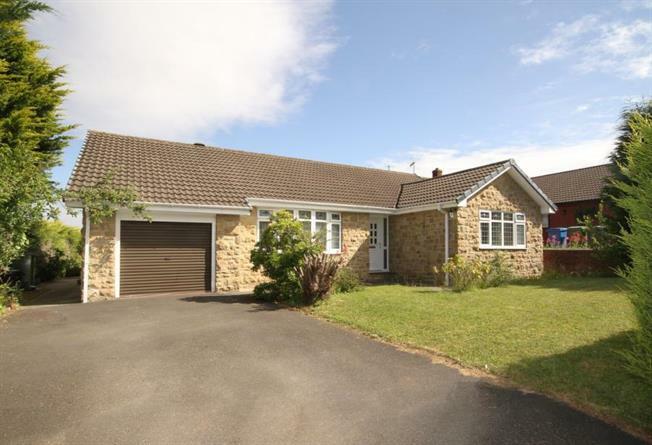 3 Bedroom Detached Bungalow For Sale in Chesterfield for Offers in the region of £295,000. Location Location Location! New to the market is this lovely three bedroom detached bungalow in the sought after residential location of Walton. With ample of off street parking and a large private garden this property is ideal for a family or the downsizer. Entering into the large bright and spacious hallway the property really offers great potential to add your own stamp. The large open plan living/dining room has a stone built fire place complete with stone built archway to the dining room, the large windows allow the property to be filled with light and show off the space on offer. There is a large conservatory on the rear of the property, ideal for the summer with a large private secluded sun soaked rear garden. The kitchen is in very good repair complete with a small tiled table, if removed would allow room for a small dining/bistro table. There is a large window looking out to the rear of the property with a grey speckled work surface and a range of wall and base units. Neutral decor and carpets throughout the property allows the new owners to really make it their own and enjoy the space and potential the property has to offer. The large master bedroom is situated at the front of the house is a good double with the second bedroom also offering a double bedroom and the development opportunity to turn the small W/C into an en-suite or guest W/C. The family bathroom allows a large corner bath with separate shower unit, low level flush and white wash basin. This property won't be around for long and viewings are a must! Call Blundells now.